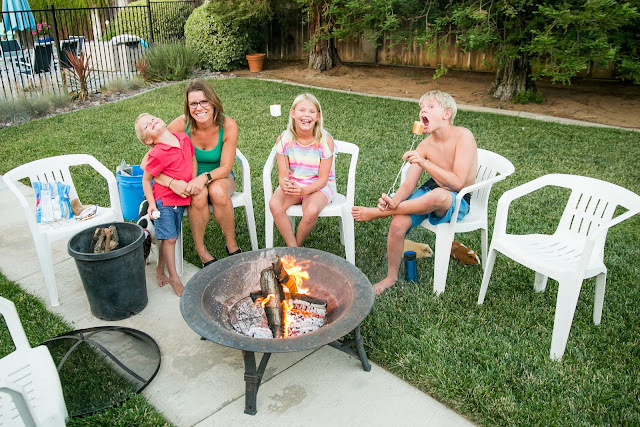 Back in June we used our fire pit several times and enjoyed it quite a bit. Right now it feels too hot to want to make a fire, but we'll be happy to use it again in the fall. We spend a LOT of time in our pool during the summer :) We enjoy it so very much. I drug my camera out one Sunday afternoon to snap a few pics. We taught this guy how to swim at the beginning of summer and he has become quite the fish! We never even did swim lessons. He started jumping into the deep end on only the third day he had learned how to swim.